Sometimes, all you need is a good Date Night! While my boyfriend Dave and I love being with my entire family at the shore in the summer, sometimes it gets to be a little much! Dave had spent the week at the shore at Adam’s house, so I hadn’t really seen him much either. He was so sweet and asked me out on a date night! After an hour on Yelp, we couldn’t decide where to go. We ended up waiting so long that most places had a huge wait. We ended up picking one of the most dependable restaurants we know: Continental. Continental is one of Stephen Starr’s restaurants, and also happens to be the first one ever! Stephen Starr restaurants are pretty much all fabulous. Maybe a little overpriced, but you can always count on interesting, fresh, and really really delicious food. His restaurants are all themed and beautifully decorated too, which makes for a great atmosphere. He’s got Sushi, Asian, French, British, Steakhouse, Burgers, Italian, Mexican, and a ton more. “Global Tapas” is the theme for Continental which also has some pretty fabulous cocktails. One of my favorites is the “Twizzle”: Smirnoff Citrus, Strawberry Puree, Lemon, and garnished with a red licorice wheel. It’s adorable. On this particular night, I decided to change it up and order the “Champagne-O-Rama”: Smirnoff Raspberry and sparkling wine with a grenadine-sugar rimmed glass. It was REALLY strong, maybe even too strong! Dave and I were actually not that hungry but we ordered some great stuff! These are awesome! You have to be careful when you go to eat them though, they are HOT. We popped the dumplings out of their little holes and let them cool first. It tastes exactly like french onion soup. 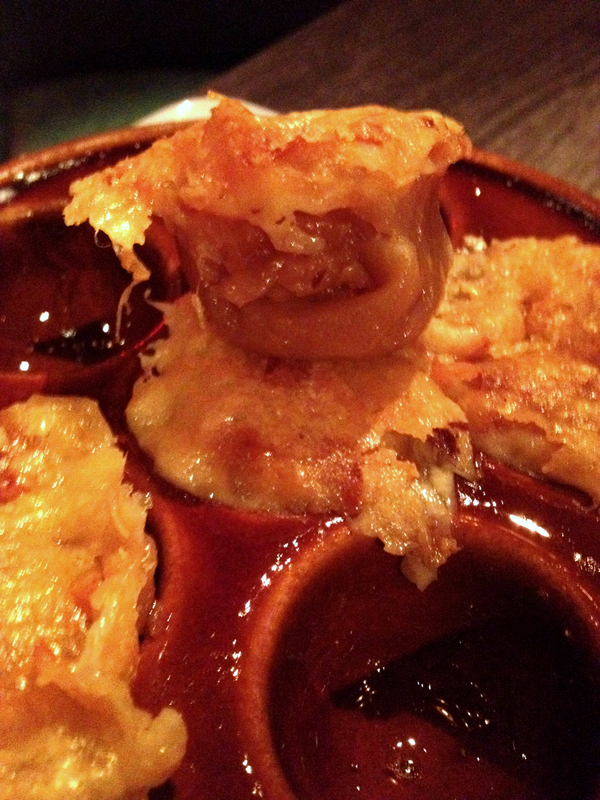 French Onion Soup Dumplings baked in its’ very own crock! 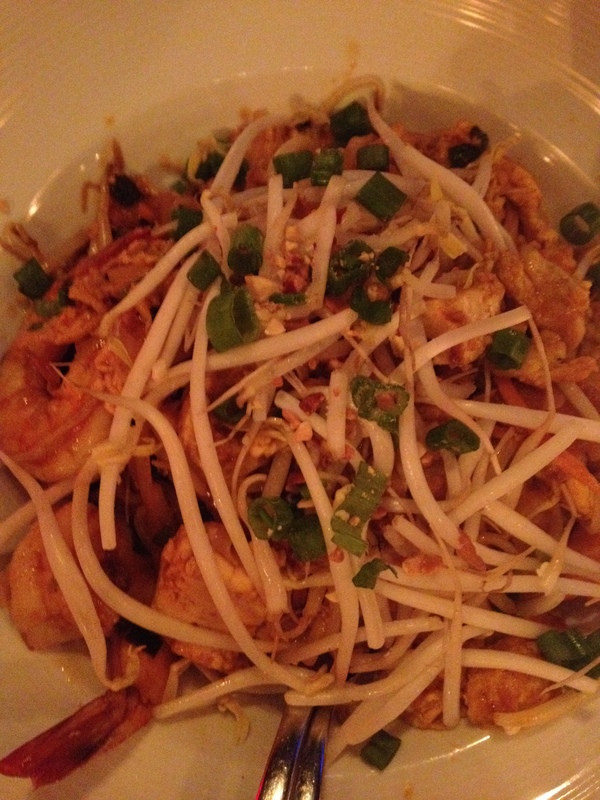 While I still think that the best Pad Thai is at Silk Cuisine, my favorite Thai restaurant… Continental’s Pad Thai is pretty high up there on the list. First of all, it was huge. The sauce was really good, not too salty, not too sweet. The entire thing was covered with crab meat. I absolutely positively cannot go to Continental without ordering the Calamari Salad. 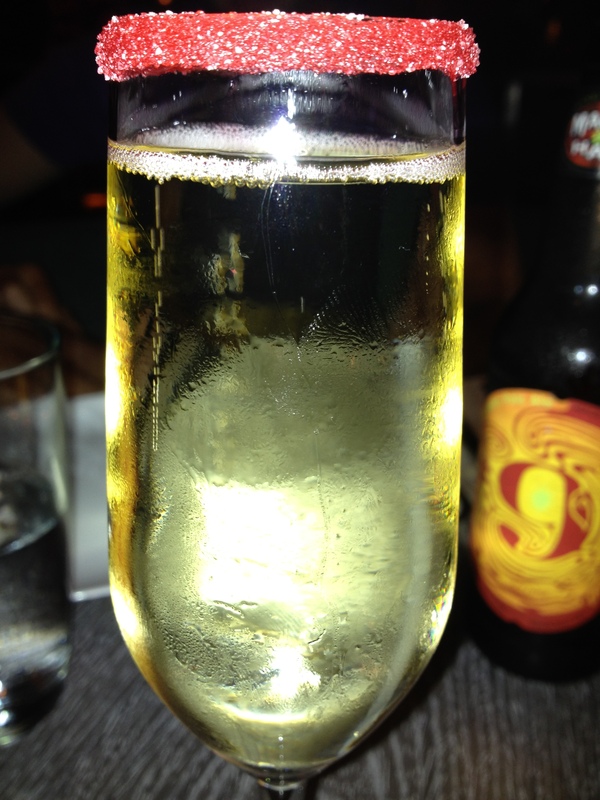 It is actually on my own personal “Best Thing I Ever Ate” list… as well as Anne Burrell’s! 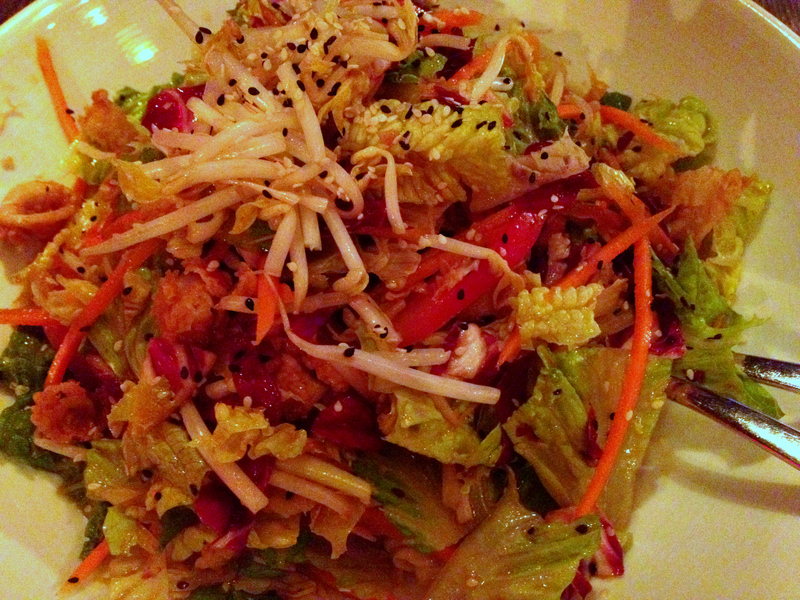 She picked this salad as her favorite thing in the “…to eat with Chopsticks” episode. It is freakin’ amazing. The calamari is only lightly coated and is perfectly seasoned. The dressing… wow… it’s a little tangy but very light, and is the perfect compliment to the salty calamari. WOW. Amazing Sea Bass. Also, voted one of the top French Fries in Philly! New Jersey is one of the best city for enjoying vacations and enjoying different food recipes in the best restaurants with beautiful seashore location. I’ve cherishable moments in this beautiful city and of course my best Italian food in the best restaurant of NJ. 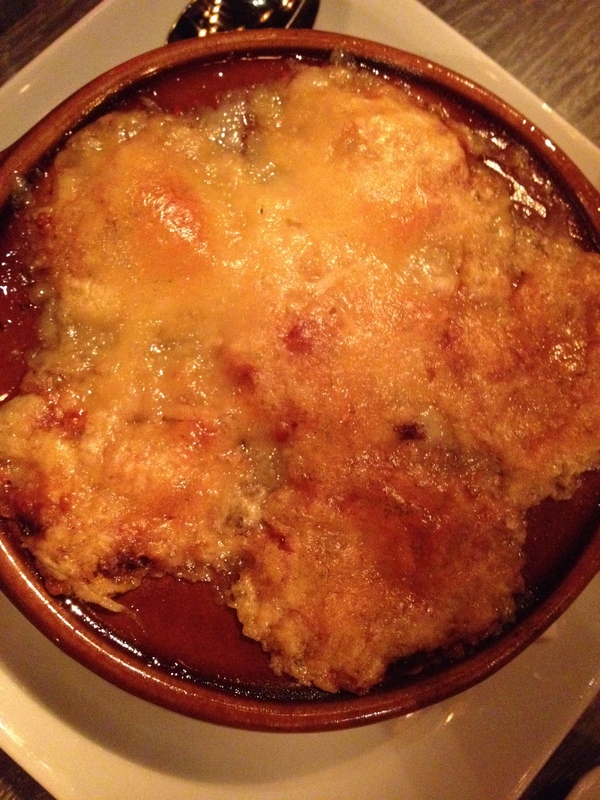 We ate there last weekend…definitely a Favorite! YUM! What do you guys order?